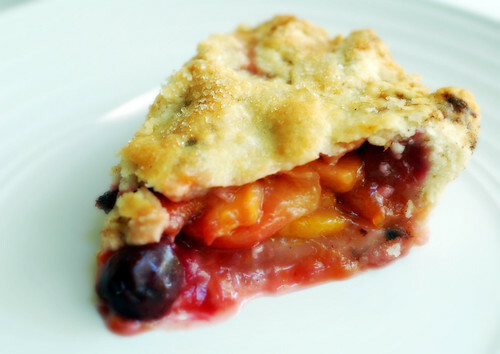 A buttery pie full of stone fruit: peaches, cherries and plums. To make the crust, in a large mixing bowl, stir together flour, 1/4 cup sugar, salt and baking powder. Work the butter in, using a pastry blender or your fingers, until pea-sized lumps form. Sprinkle in the water, 1 tbsp. at a time, stirring gently with a fork after each addition and adding only enough of the water to form a rough mass. Using floured hands, pat the dough into two smooth, flattened discs. Wrap in plastic wrap and chill for 30 minutes in the refrigerator before rolling out. Meanwhile, stir together peaches, plums, cherries, 3/4 cup sugar, cornstarch, lemon zest and vanilla until well combined. Roll one dough disc out thinly on a floured surface, using a rolling pin, and fit into a 9-inch pie plate, place on a cookie sheet; fill pie shell with fruit mixture. Roll out additional dough disc and top fruit mixture; trim and flute edges. Slice some cuts in the center of pie. Brush a little cream or milk evenly over pie dough and sprinkle with coarse sugar if desired. Bake for 1 hour or until deep golden brown. Cool completely on a wire rack. 33 comments on "Stone Fruit Pie"
Only when your pastry is thin and buttery like this, is a pie a good place to showcase fruits. The pastry is essential without stealing the show!!!! Just bring on the cream, I'll have two slices please!!! Another gorgeous and delicious looking dessert... You're going to make my week of detox next week really hard!!! You know, I knew what kinds of fruit were considered stone fruits, but for the life of me, I never knew why they were called stone fruits. You'd think they would have mentioned that while we discussed fruits in culinary school, but nope. Learn something new everyday! Oh that pie looks great Emily. 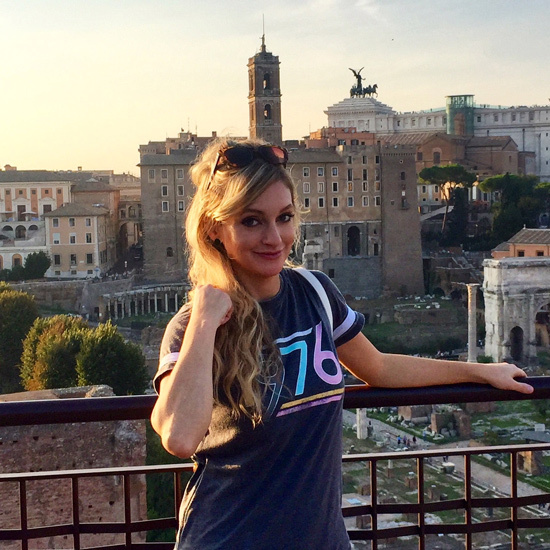 I've been on vacation for the past week and cannot believe all the great recipes everyone has been making. Your crust looks so perfect! OH YEAH. 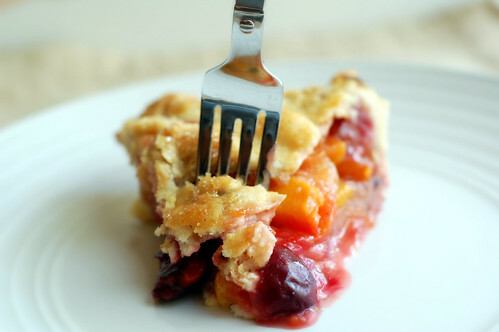 This is one of my favorite desserts too - love all the stone fruits, and putting them together in a pie is just so beautiful and YUMMY. Delish!!! I'd like my slice with some vanilla ice cream, please! I'm all for getting a headstart on a holiday weekend and thanks for the good Labor Day wishes, but it's not until NEXT weekend! And this better not be the last post until then. That pie looks awesome. Interesting about browning the butter. Only YOU would do that. You're a genius! What a delightful pie this is!! It looks quite attractive to me!! Delicious with fresh vanilla custard,...yummie! This really is the perfect pie. 5 stars! I browned some butter and let it solidify before using it for scones, but I also didn't think the flavor came through enough to go through the extra step. Wow...who knew that "stone fruit" was a fruit with only one seed?! Ya learn something new everyday. :) This looks yummy and I'm glad you don't think peaches smell like feet anymore. mmmm i LOVE pie!! It looks great! Looks amazing! I am always so intimidating by pastry dough... Perhaps I should just give it the old college try. I don't know anything about baking but I know when food looks good, yum. Mmm, the filling sounds great, and that crust looks out of this world... now I'm craving another pie! Delicious! I was actually out on a walk yesterday and walked by a plum tree and wondered when they would be ripe. Now I want some in a pie! How do you just invent recipes? You're so talented! I think that's the prettiest crust I've seen. Yeah, I always have issues with soggy fruity cakes :P.
I love the photos..they're mouthwatering.. This pie is so great, your crust looks perfect to me! Gorgeous! That is a very perfect looking crust! Nicely done! Delish! 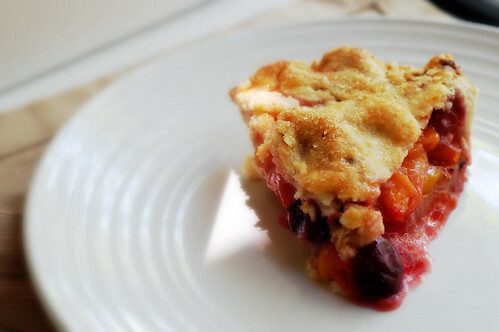 I'll take a slice of fruit pie any day. This is what we call bumbleberry pie which is a combination of fruits all mixed together in a delicious flaky crust...just like yours. I'll take pie over cake any day. Combining fruits is a great idea and the end result is so beautiful. The pie looks great! I read about your tilapia win! CONGRATS TO YOU! Why thank you, lady. I love tilapia! Nice job with the Tilapia!! Congratulations! Oh and not surprisingly your pie looks delicious too! Now THAT is a pie. Better than Bittman's 'patchwork bake'. I love a classic pie and this flavor combination is a winner. I love Stone fruit! I love pies but I can't eat them or I will be a huge blimp, this looks great! 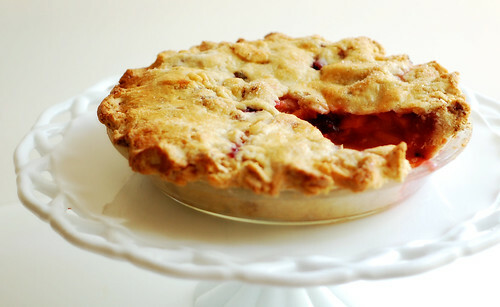 I made this pie today after having some leftover plums and not knowing what to do with them! It turned out fantastic - really delicious and sweet. It was a great combination of fruits! Thanks so much for sharing this recipe.